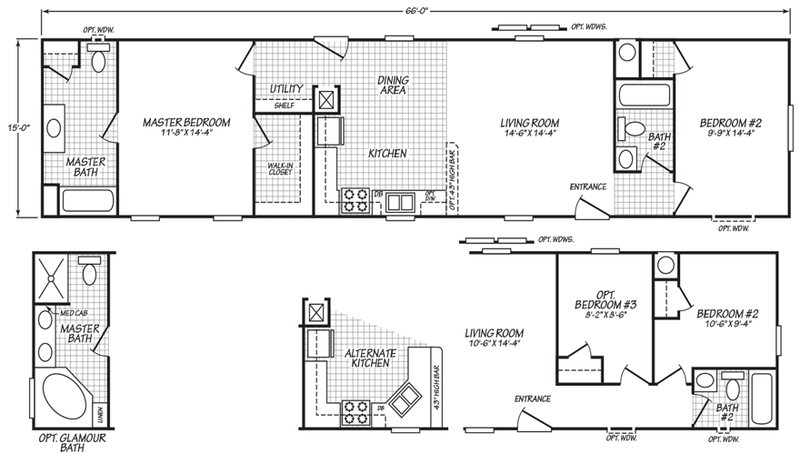 The Songbird model has 2 Beds and 2 Baths. This 990 square foot Single Wide home is available for delivery in California, Arizona, Nevada. Compact yet comfortable, the ‘split floor’ Songbird model might just be the perfect choice for you! The living room sits adjacent to a quaint dining area in an arrangement ideal for entertaining. Plus, the optional 43” raised snack bar could come in handy for informal dining. 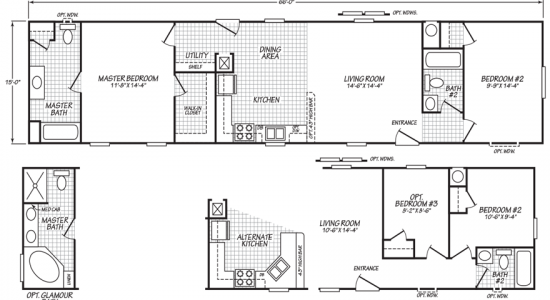 Don’t sleep on the alternate kitchen and optional master glamour bath. Ask your housing consultant about the other great features that come standard on the Songbird manufactured home.